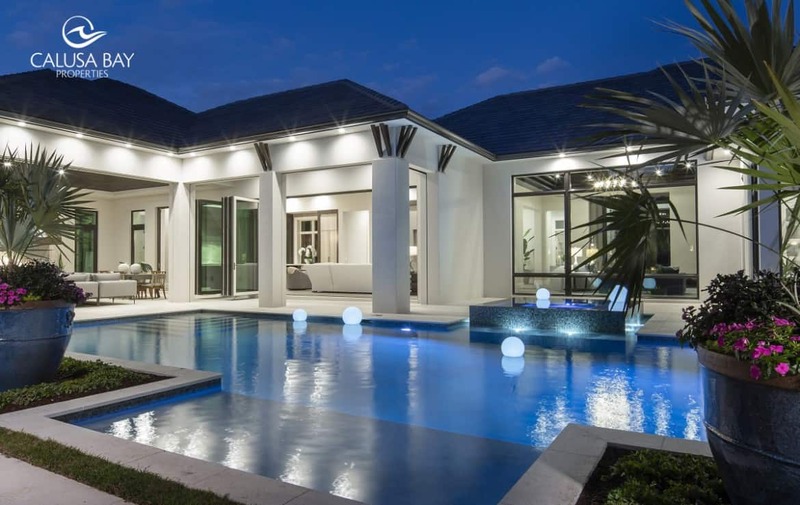 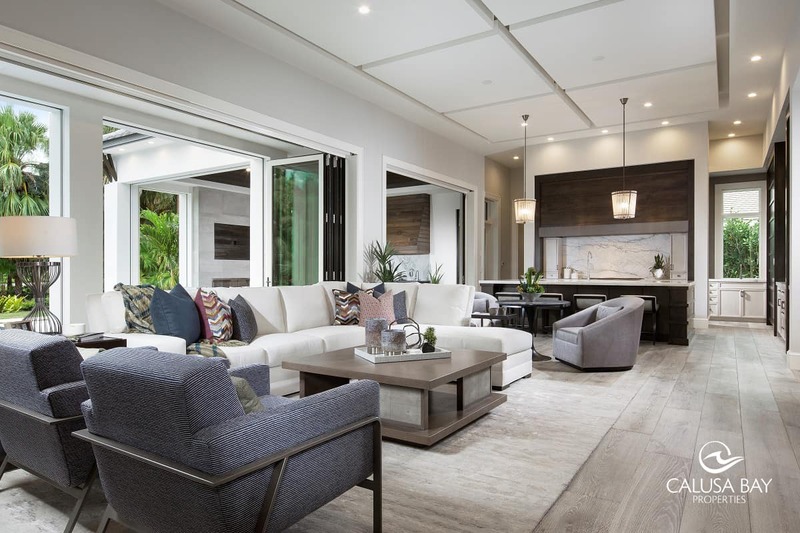 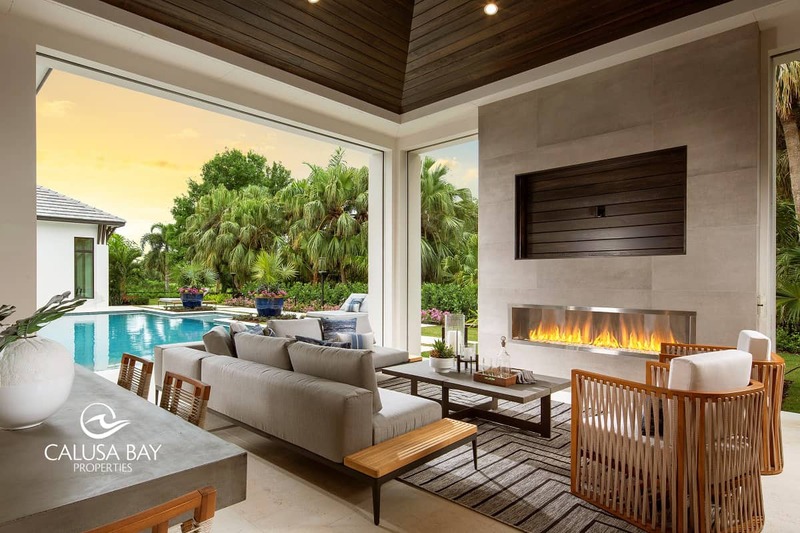 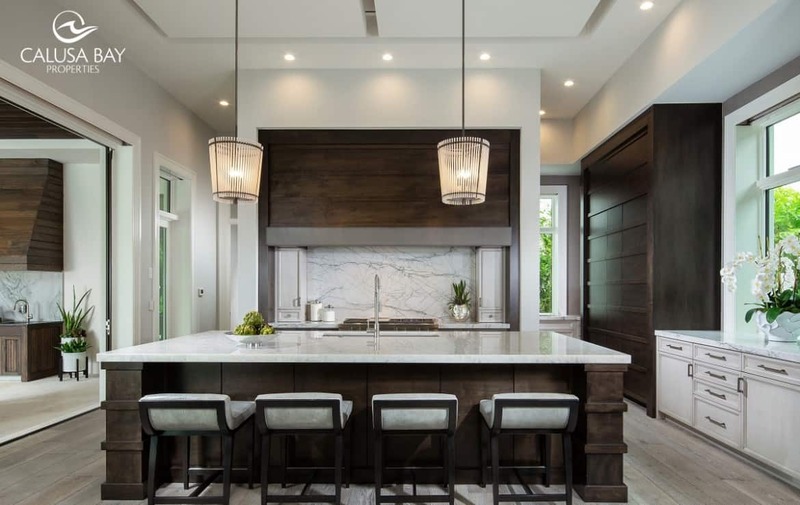 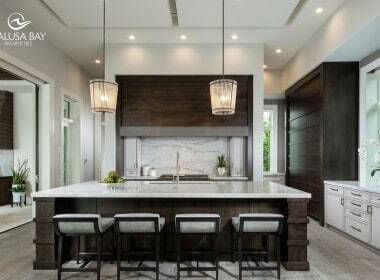 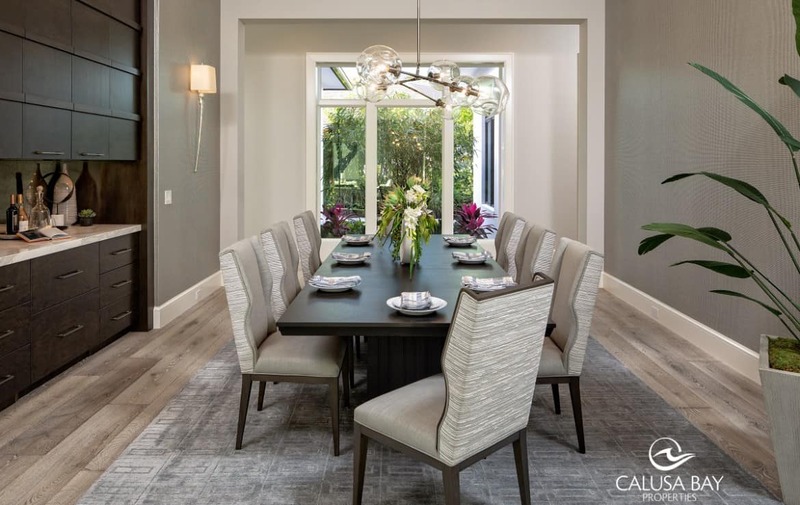 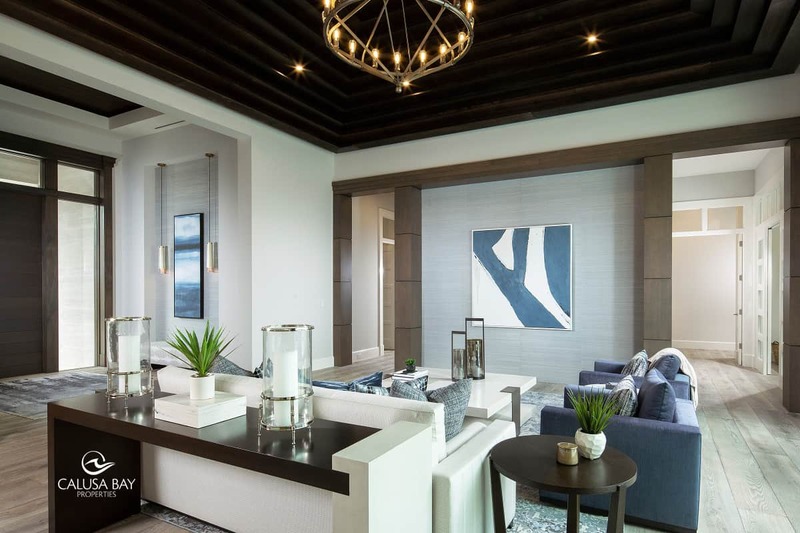 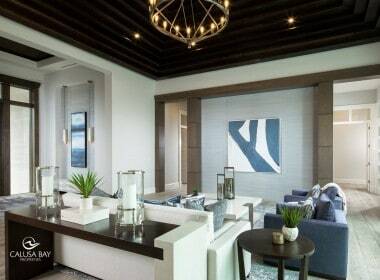 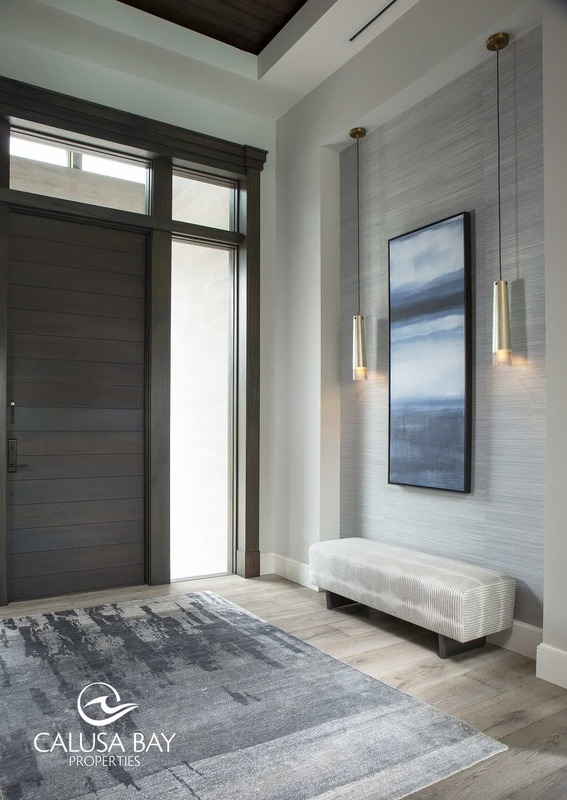 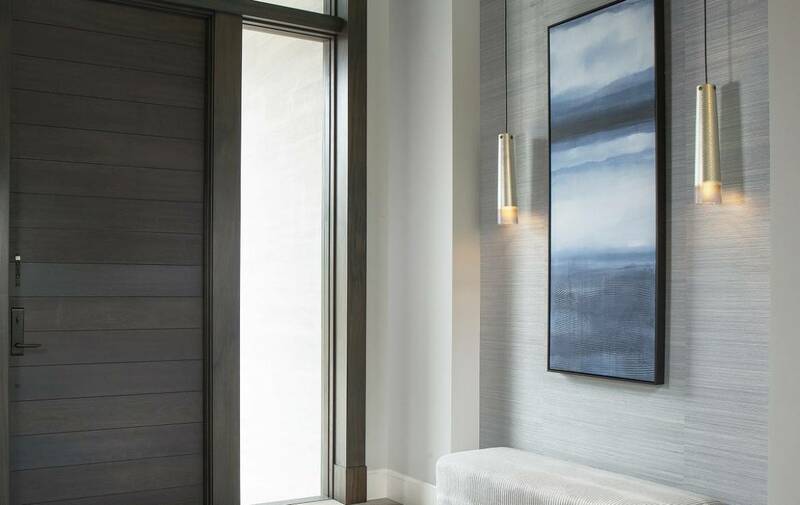 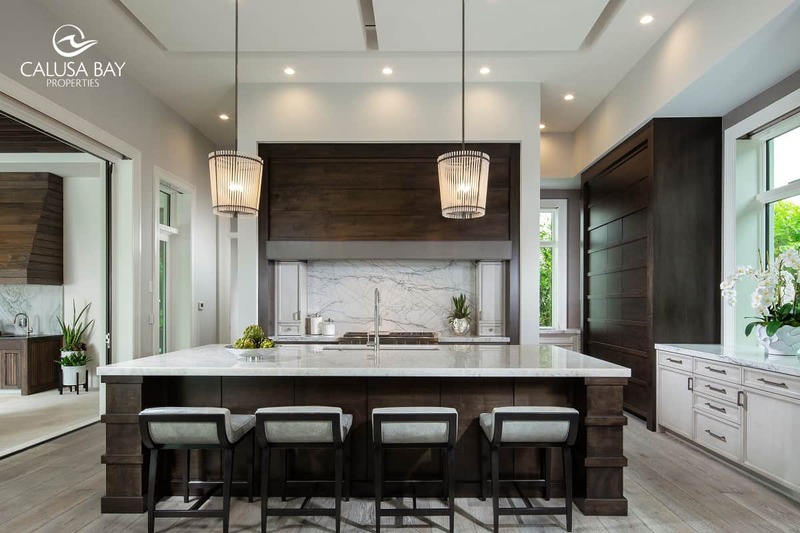 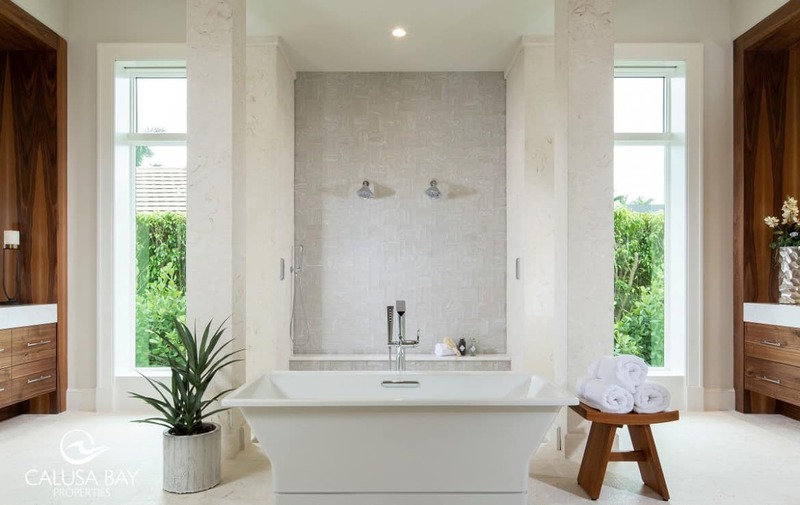 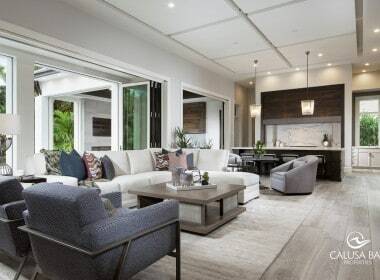 Tucked away inside the gated enclave of Georgetown, Pelican Bay is this architecturally inspired new construction estate home nestled on the golf course. 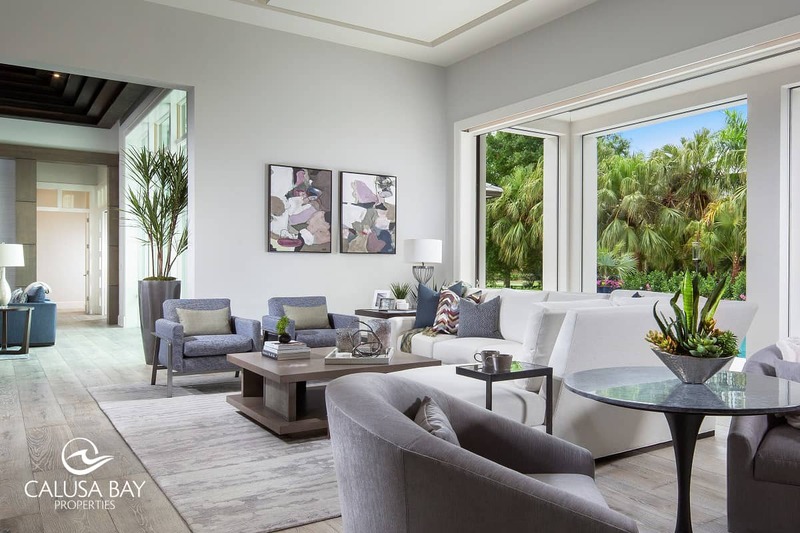 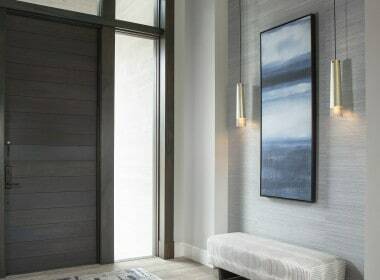 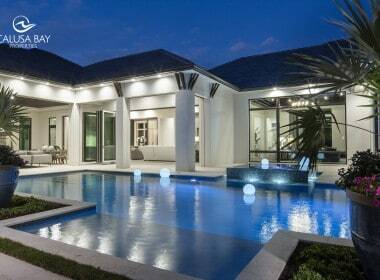 With a soft contemporary design, this 6,150 square foot under air masterpiece will leave you in awe. 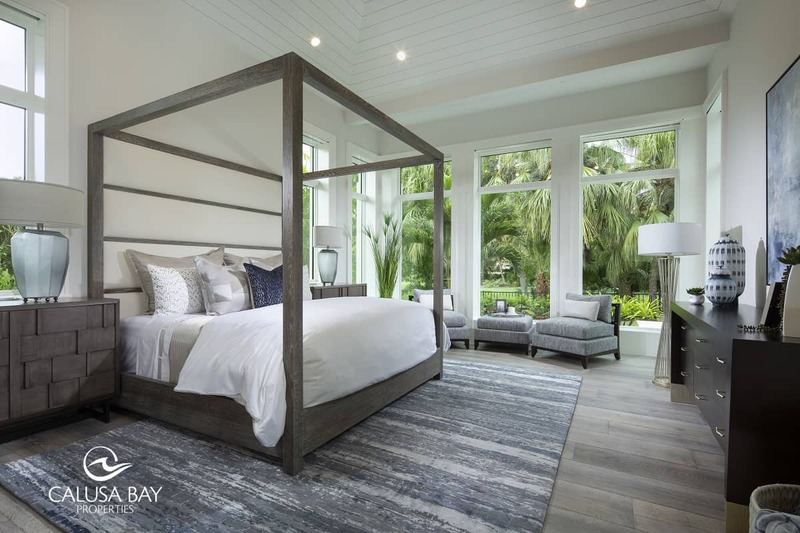 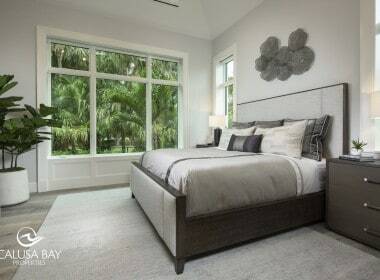 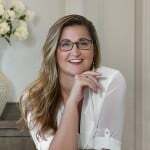 Boasting 5 spacious, en-suite bedrooms and a private office, 7 bathrooms, 4 living spaces, 4 dining spaces and a highly-coveted open floor plan with privacy options throughout. 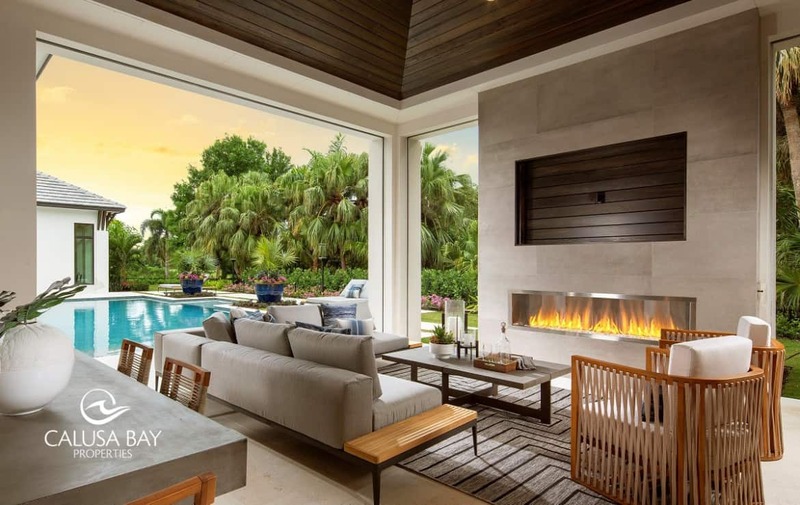 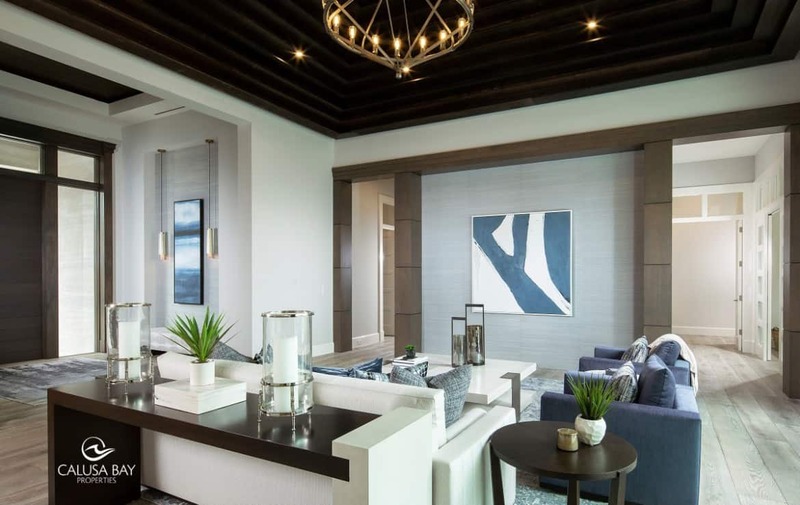 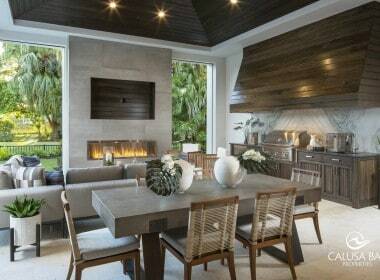 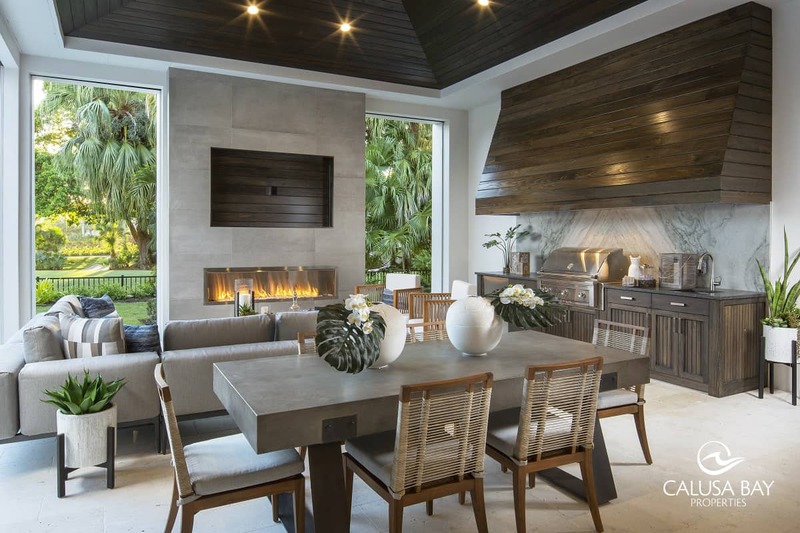 With artistically exceptional ceiling details, quality craftsmanship, custom cabinetry, and the stunning views of the 50-foot pool and golf course. 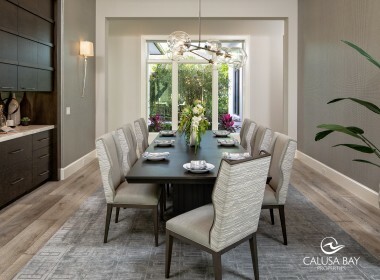 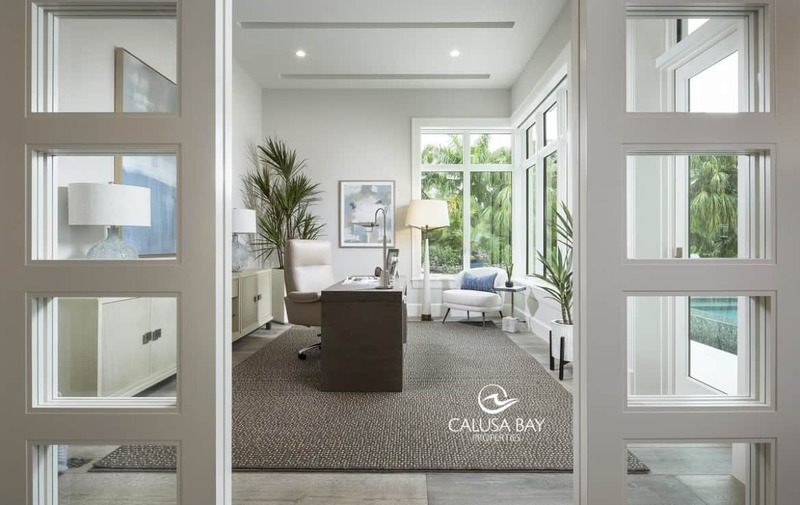 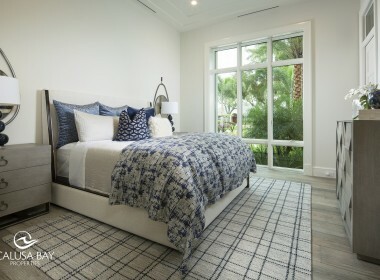 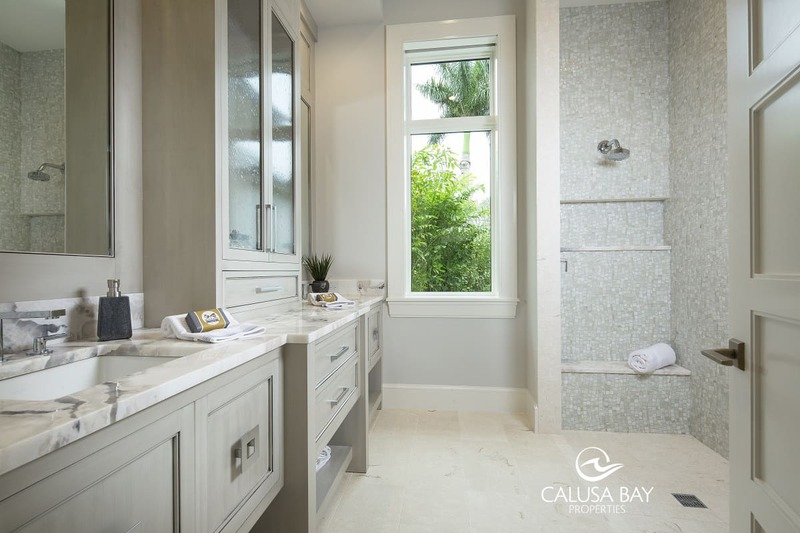 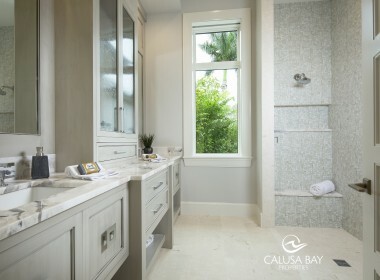 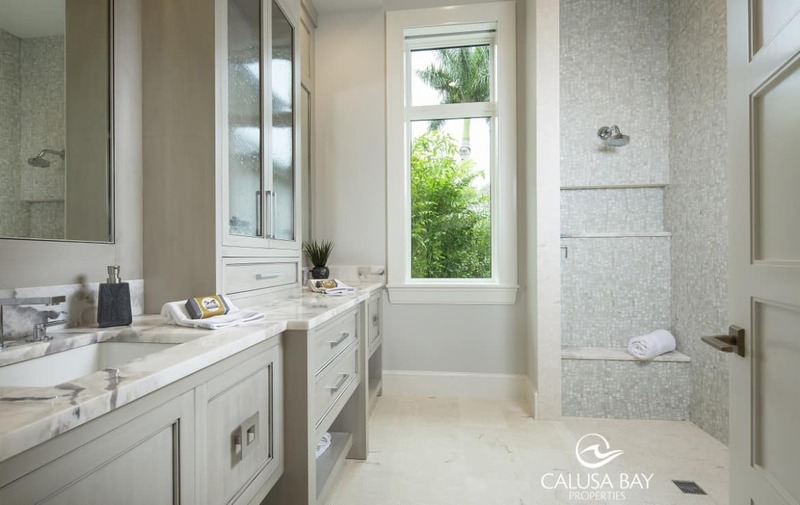 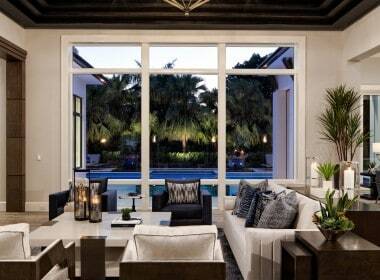 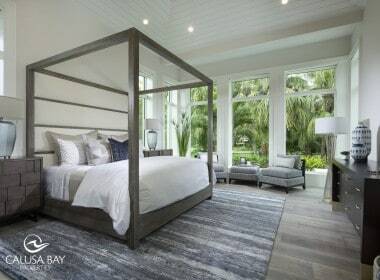 Furniture package provided by Calusa Bay Design available for separate purchase. 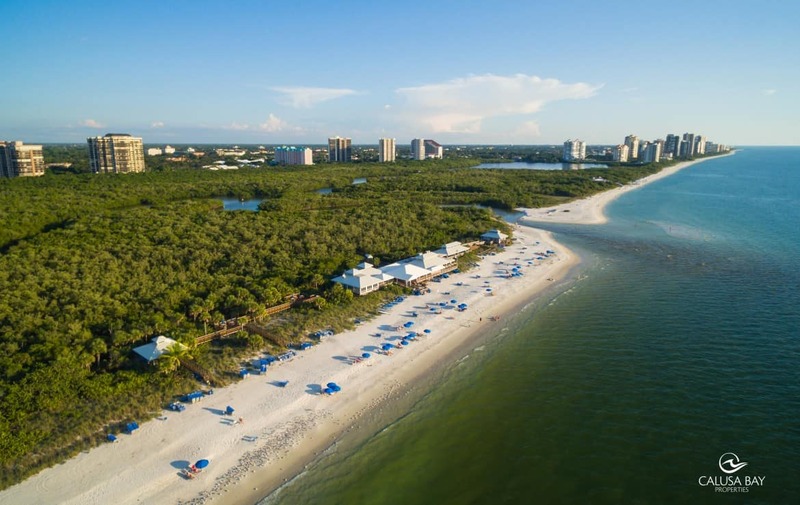 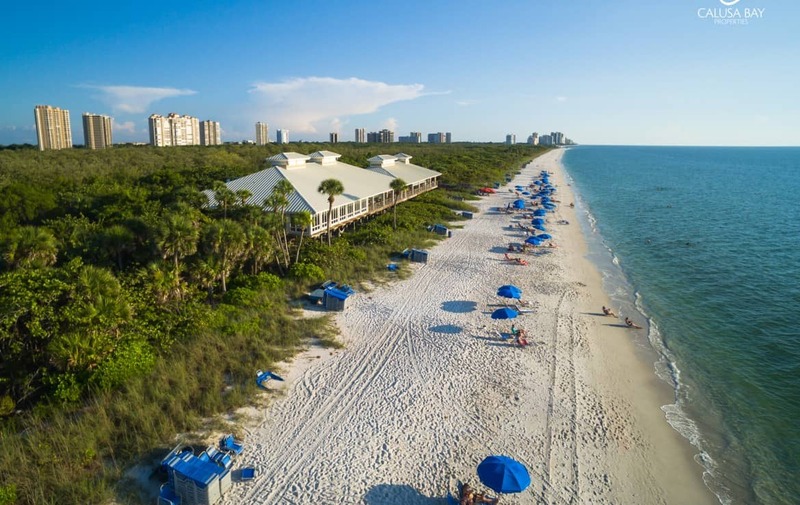 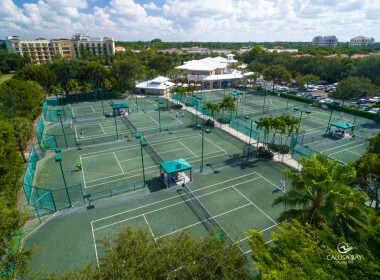 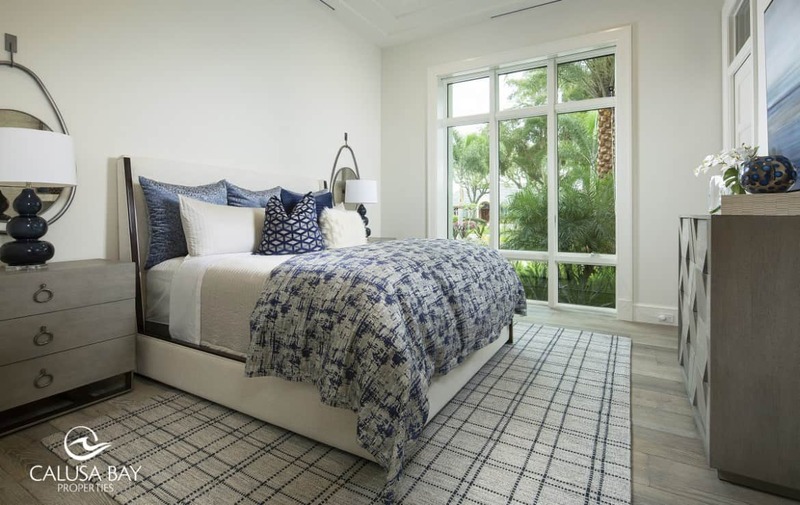 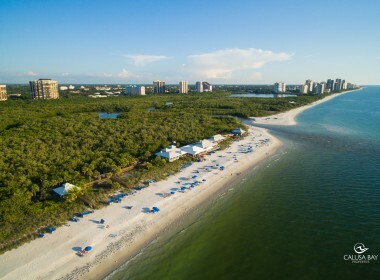 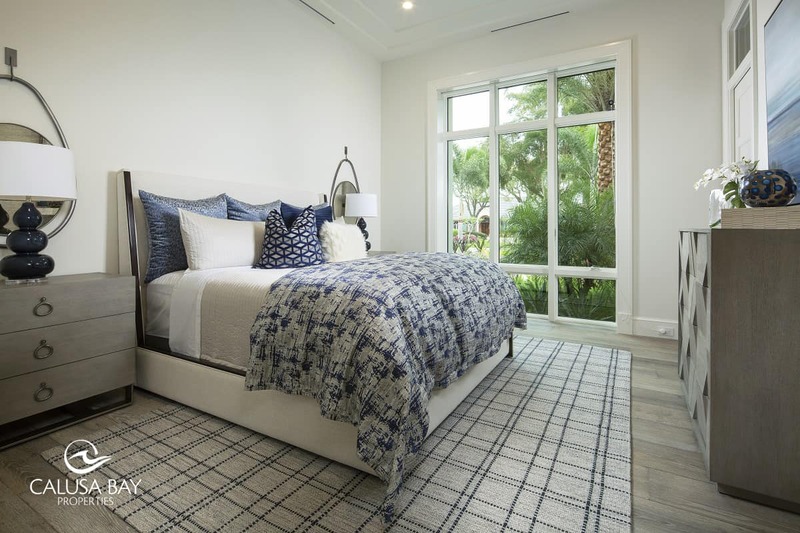 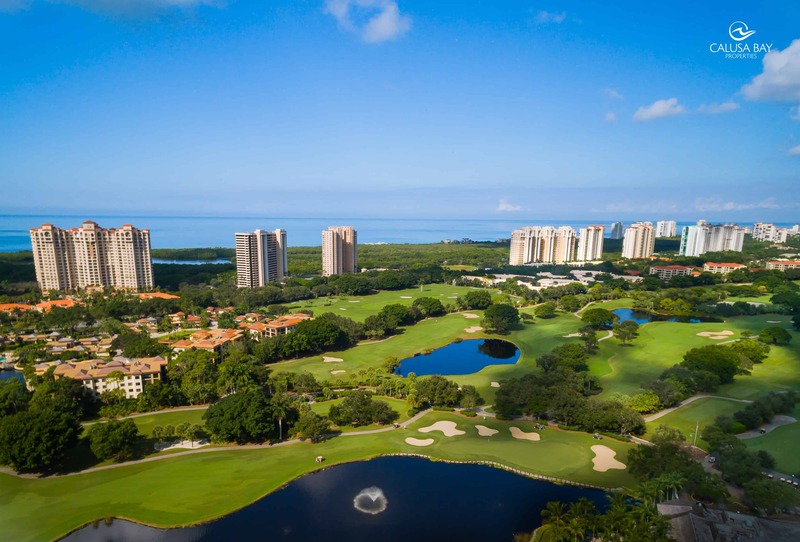 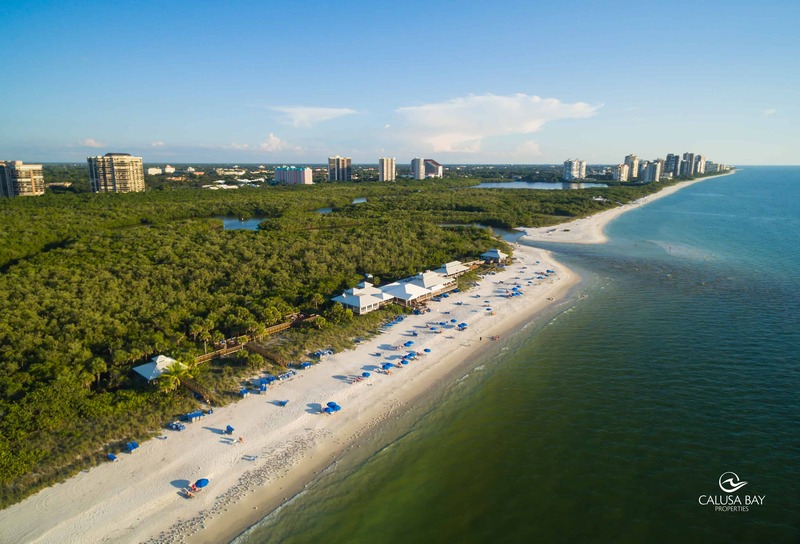 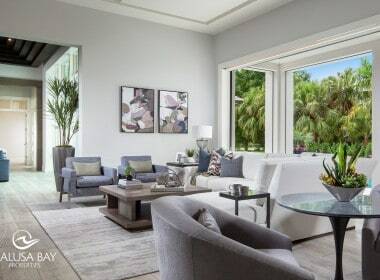 The location is completely unparalleled, west of 41 and nestled among Artis-Naples, Waterside Shops, Mercato and all the area’s shopping, dining, theaters, and museums. 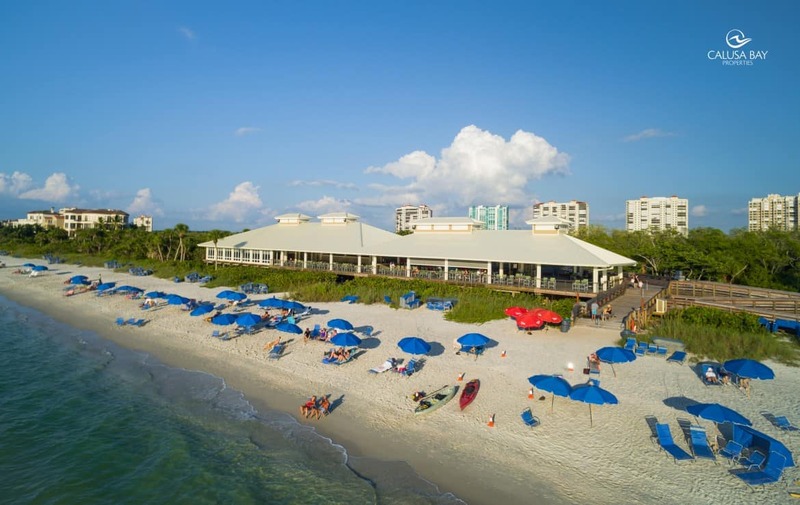 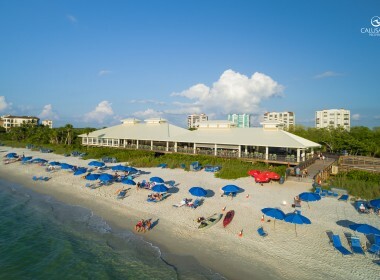   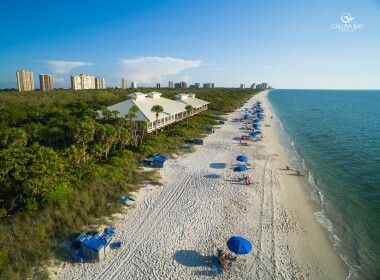 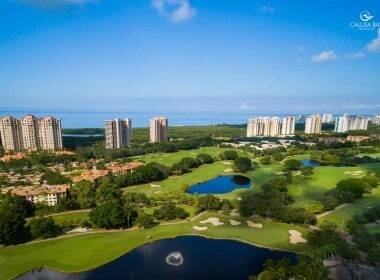 For more information about Pelican Bay, click here. 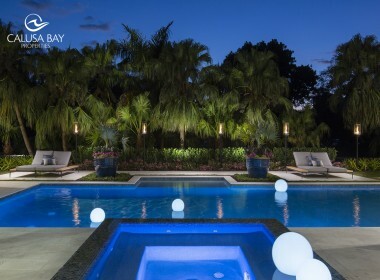 Open this Sunday from 1:00 to 4:00 pm.